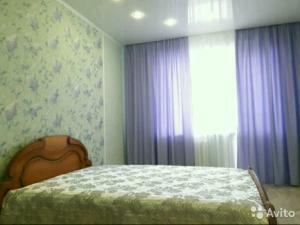 A-HOTEL.com - Luxury and cheap accommodation in Nikol'skoye-na-Cheremshane, Russia. Prices and hotel, apartment booking in Nikol'skoye-na-Cheremshane and surrounding. Situated in Ryazanovo, Spa Park Otel Dubrava features accommodation with free WiFi and access to a garden with a barbecue. There is a restaurant and bar and guests can enjoy the water park. Located in Dimitrovgrad, Гостиница Березка provides accommodation with free WiFi. The nearest airport is Ulyanovsk Vostochny Airport, 71 km from the bed and breakfast. Offering free WiFi and city views, Apartments on Lenina 13 is an accommodation set in Dimitrovgrad. This apartment features accommodation with a balcony. Kurchatovs ten is set in Dimitrovgrad. Complimentary WiFi is featured. Apartment on Koroleva 10 is set in Dimitrovgrad and offers a terrace. Guests can enjoy the free WiFi.